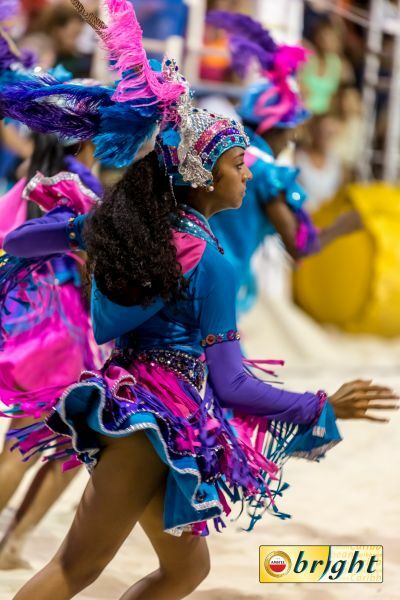 ARUBA OPEN 2018, NOVEMBER 11 - 18. The Aruba Beach Tennis Open had it’s first edition in 2008 at the Moomba Beach club. That was the year that the Italian players came to Aruba for the first time to play with us and showed us how the game was really played. They did a fantastic job and were real ambassadors of the game. Greatly inspired the Island of Aruba immediately embraced it’s new past time. 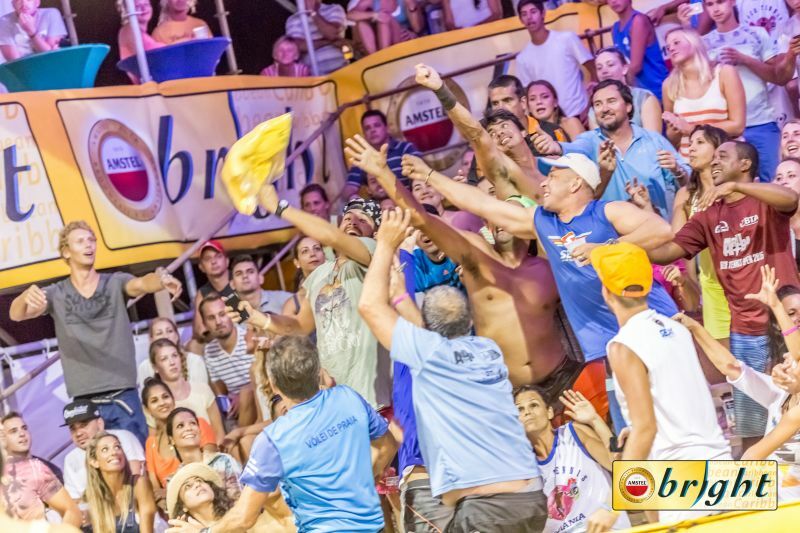 The following years players from countries like Brazil, USA and Venezuela followed to join the action and every November Moomba Beach turned into a Beach Tennis party! 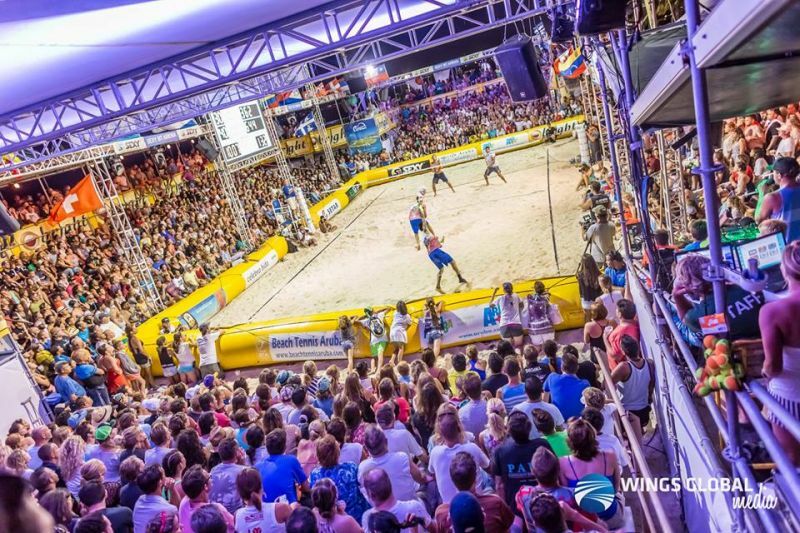 In 2012 the tournament became physically too big to be hosted at the Moomba beach bar and the organizers had to tackle a major challenge. The only beach big enough to host the event was Eagle Beach and the question was; How do we create the same great atmosphere on massive eagle beach! The answer came in trying to create a Moomba Beach Club at Eagle beach, the same set up with a bar as the middle and focus point with a restaurant and lounge area where people could relax, dance and enjoy while watching the games. Add to that 20 courts, 700 participants, beach lovers and party animals and there it was: the first Eagle Beach edition was a home run for the island of Aruba! The Italian top players immediately accepted the fact that they were disturbed during their matches by the DJ and the loud and very present Aruban crowd. They understood that this was the way it worked in Aruba! Sport as entertainment and beach tennis was perfect for it. Soon this concept became an example for the rest of the world. The ABTO won the prize for "best tournament in the world" for the first time in 2012. Since then the event grew in quantity and quality every year but the concept is still the same. The event never lost the same great ambiance what made it so famous. A big step up came when ATA ( the Aruba Tourism board ) decided to increas their support in 2014 and became an anker partner of the event. Now a days the event has 1200 participants from 31 countries, 32 courts, a beach stadium with shaded seating, 2 restaurants, 3 bars, shops, DJ’s all day all days, a massage tent, entertainment and the best beach tennis in the world. Convinced that they are just at the beginning of the growth of the great sport of beach tennis the organizers are dreaming and preparing for a bright future. But whatever happens one thing is for sure:They will guard that the atmosphere of sportsmanship, friendship and having fun will always stay alive at the Aruba Beach Tennis Open!